A Well-Seasoned Life: Gooseberry Patch Review and Giveaway: "Quick and Easy Christmas"
Gooseberry Patch Review and Giveaway: "Quick and Easy Christmas"
I've always wondered why with so many channels on satellite television that there's not a holiday channel that always plays Christmas movies and holiday episodes from my favorite shows. These episodes always show people at their best, filled with kindness, good will, and holiday spirit. And, in watching others, I'm filled with those same feelings. Wouldn't you love to be able to feel that all year round? While you can't watch these holiday episodes at your will, you can get the same feeling by reading through Gooseberry Patch's Christmas cookbook collection filled with entertaining tips and treasured memories from readers across the country. Yes, you can get into the Christmas spirit in May. I know because I felt that way when I opened my package from Gooseberry Patch and found their latest cookbook, Quick and Easy Christmas. Within minutes of opening the cookbook, I was transported to December through the Christmas art work, tips, and memories. This cookbook is truly the perfect gift for the cook in your life. It contains so many delicious recipes that I had a hard time narrowing down which ones I would prepare. I've chosen to highlight Dill Pickle Dip, Roasted Green Beans, and Chicken and Rosemary Pizza. But, that doesn't mean that Mom's Dill Bread Bowl, Citrus Party Fish, Buffalo Chicken Wing Soup, Royal Coconut Creme, Strawberry Cheesecake French Toast, So-Easy Caramel Rolls, and Hot Milk Cake won't be prepared and shared here soon. Get a headstart on your Christmas shopping this year by picking up a little something for yourself, Gooseberry Patch's Quick and Easy Christmas or, if you're lucky, you could win one by entering my giveaway below. It's never to early to feel the spirit of Christmas. Click here to read my latest review and giveaway. Yum! I can't wait to try the Dill pickle dip! All of my kids and grands love dill pickles! 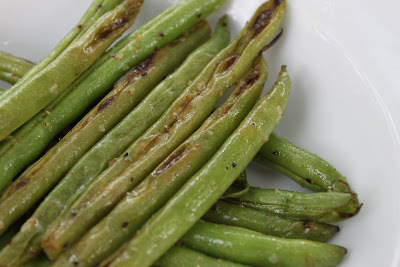 And the Roasted Green Beans!...Wow..they look good! That will be my favorite! No need to enter me in your give-a-way. I've got a recipe in this cookbook, so I'll be receiving one. But, I just wanted to comment on what great recipes you've picked out! I am a follower through Google Friend Connect and Network Blog and would love to be entered in the drawing. I've followed for a while now and always love your recipes. The kids still rave about the ice cream bread. I would love a new cookbook! Thanks for the opportunity! I would love to be the winner and start with that chicken rosemary recipes yum! Another cookbook, sure y not. I love cookbooks. My kids ask me why I keep buying cookbooks. I say so you have something to sell at my auction some day. haha. I just followed you on Google Friend Connect...and love love love the Gooseberry Patch cookbooks...they rock! I would love to win the new gooseberry cookbook. These recipes look great. I LOVE Gooseberry Patch cookbooks. 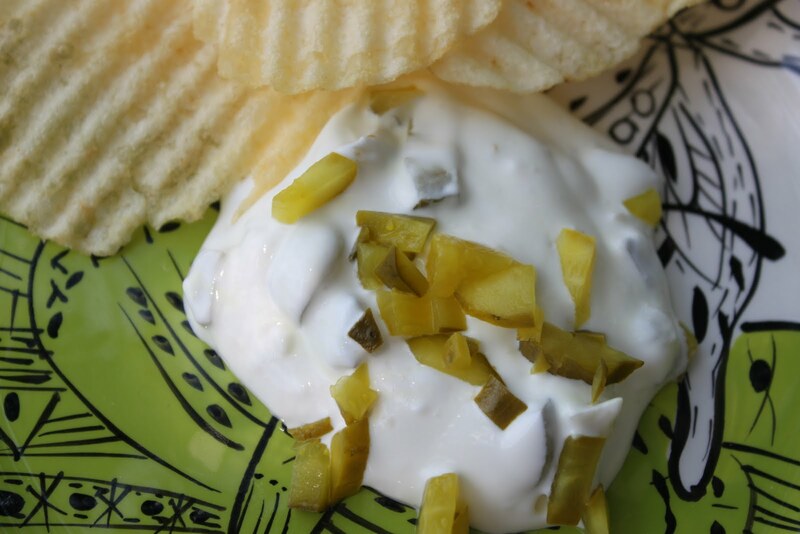 Dill pickle dip... insert Homer Simpson drool here. Love Gooseberry Patch!! I love Gooseberry Patch!!! I make some recipes in your other cookbooks and take them to potlucks and backyard BBQ's and they are always a hit!!!! I'd love to have a new book so I can continue to make people say mmm mmm mmm!!! I love Gooseberry Patch cookbooks and would love to add this one to my collection. I have been a follower of your blog for a while now, enjoy your posts. Thanks for this opportunity! I'm addicted to Gooseberry Patch cookbooks. This one looks like it has a lot to offer! I've never won anything, maybe this will be it. Hello from windy West Texas. I would love to win this new cookbook. I recently purchaed the super fast slow cooking GBP cookbook. Love reading the cookbooks as well as trying new recipes. Please enter me into your give-a-way. I think this is a wonderful way to get GBP cookbooks out there. Thank you. 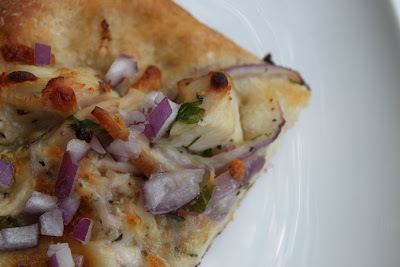 I am now following your blog and would love to win the cookbook. I am a follower on Facebook...I LOVE CHRISTMAS !!! I would love to have this cookbook. I celebrate Christmas year round. Please let me know if I win the cookbook. Email me at lrenner@charter.net. Thanks ! ! ! I LOVE Gooseberry Patch cookbooks, I collect cookbooks and just a few years ago discovered Gooseberry Patch and I just LOVE them!! I would love to have the new Christmas Cookbook!! Annettemcdermott1@hotmail.com HOPE to hear from you soon!! I'm a new follower of yours and I love your blog and Gooseberry Patch. Your site is awesome! I've been a GBP addict for years...I've got some cookbooks that are out of publication. I'd love to add the new Christmas book to my collection! Think I'll start with the Roasted Green Beans and the Dill Pickle Dip!!! I am also a Collector of Cook Books! Of which 36 of them are Gooseberry Patch ! I would LOVE to win a copy of this cook Book. I love your blog I started following it after finding your white texas sheet cake recipe on Southern Plates forum this morning. I enjoy Gooseberry Patch books no matter what the topic is! I've just awarded you the Versatile Blogger Award :) Come Check it out. Love the Gooseberry Patch Christmas book. Would so love it. Just became a follower. Found you on Southern Plate. I LOVE Gooseberry Patch cookbooks! I can hardly wait for the next one to come out! My Mama's recipe for Tomato Gravy was printed in FARMHOUSE FAVORITES. I would love a chance to win this cookbook. I follow your blog on Facebook. Would love to win this cookbook. I follow you on facebook. Can't wait till garden time to try these green beans. Those roasted green beans look delicious. I've never met a green bean I didn't like (well, hardly ever). Me either, Edra, unless it's one of those flat Itailan green beans. Not such a fan...but, I can eat them in an emergency situation. I don't yet own any GP cookbooks, this looks great! Have several GB books,yummy indeed! I agree that there should be a 365-holiday programming station. However, I get my fix from internet radio - AccuRadio and Live 365 have holiday stations that I tune into year round. It's my good mood fix - just as is planning good food and getting great ideas in advance of the Christmas season. Thanks for the review on GB's Quick & Easy Christmas cookbook. I'd love to win a copy. Now that my kids are 8,10,12, I've got more help in the kitchen, but still need the 'less is more' when it comes to ingredients list that GB offers. that pizza looks DIVINE.... yum! Love GBP, and thank you for sharing these recipes! I would love to have this cookbook. I am always looking for new ideas, and I love your cookbooks. I have several of them. I would love to be entered in this contest! (I am a follower). Hiya! I would <3 to win this cookbook. Now that we moved back to the mainland, my in laws are able to visit more. That includes the winter holidays. When we're together we like to cook, bake & be creative. Thank you! You know, I'd never thought about the idea of a channel devoted to Christmas movies, etc., but in reading your proposal for one I realize that I feel the same way! I'd love to win the newest Gooseberry Patch Christmas cookbook. I'm now a follower of your blog. I just signed up to follow your blog. Would love to win the cookbook. 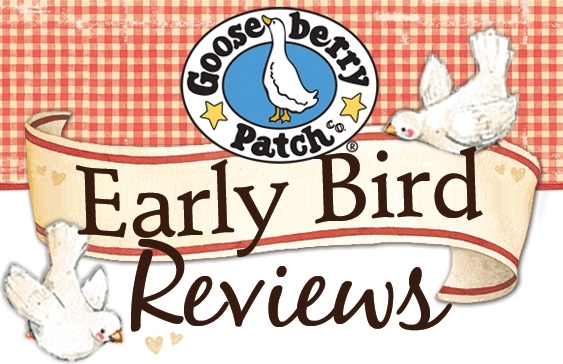 Gooseberry Patch books are great! Newest follower & love your blog!!!! Gooseberry Patch sent me & very interested in ALL things Christmas related ;) THANKS!! This cookbook sounds great. Roasted green beans sound yummy. I always have the family over at Thanksgiving and Christmas 25-30 of us and welcome new dishes! Follow your blog on Facebook!! Would love to win copy of "Quick and Easy Christmas"!!! I just signed up to follow your blog, love the gooseberry xmas books!! I have quite a group of them and would love to win this one! I miss not being able to order all the neat stuff from the catalog, used to look forward to them in the mail!! Goosebeery Patch is one of my favorite websites to visit, and i'm sure yours will be too, thanks again My e-mail is SDunham52@gmail.com . I'll keep wishing to win the book!!!!! Hope I'm not too late! I love Christmas & GP! Yea....I can't wait to get the new Christmas cookbook. I get the new one every year!!! Love your blog -- and Gooseberry Patch. Please include me in the giveaway. I love these cookbooks. I only have a few of them. Not only do they have wonderful recipes but I have also fallen in love with the different stories and traditions others have shared. I just found this blog and am excited to sign up to follow. I'm now following your blog. Looking forward to reading more. Love GB Patch books-and would love another Christmas book (especially if it makes Christmas easy!). My email is jennevans@yahoo.com. Thanks so much! Pick me! Pick me! I have been following your site quite often, as i am sure everyone has. What beautiful pictures and yummy recipes! Brings back lots of memories of growing up when Mom did all that cooking. We recently started having Sunday dinner at Mom's again, only this time the kids are doing the cooking, Mom gets to sit back and enjoy. Please pick me!! I love doing all the Christmas special little things, cookies, candies and decorating the house. Some of the recipes I've seen I cannot wait to get my hands on....Thanks!! I'm a follower of your blog and love it! I'd love to win the Christmas cookbook from Gooseberry Patch. That's how I found out about you. I'm keeping my fingers crossed. =) very interested in the cookbook.. found your blog on the gooseberry facebook page and am now following it. I follow quite a few recipe blogs. Email address is gary_n_amie@yahoo.com thanks!!! I would love to winner this cookbook... sounds interesting.. Following you on Networked Blog. I love Christmas and Gooseberry Patch. Count me in. I'm a new follower and would just love to win the cookbook! Thank you for the chance to try! Greetings ~ A new follower who LOVES any and all the Gooseberry Patch cookbooks! This one would be so wonderful for Christmas ~ and why don't they have a Christmas channel???? Am following you on facebook and would love to win this cookbook. I am following you on Facebook! 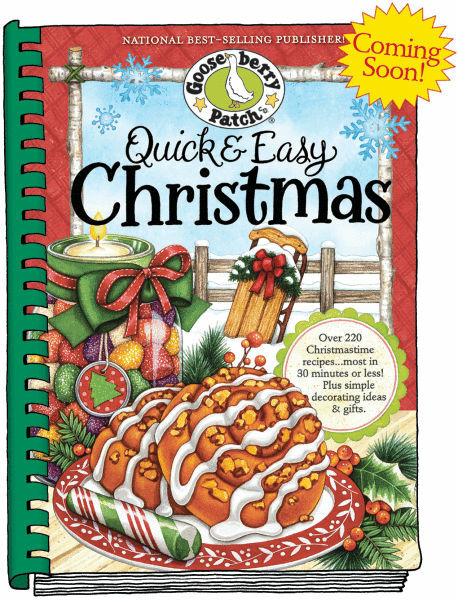 I would love to own Gooseberry Patch's Quick and Easy Christmas! It would be my first Gooseberry Patch Cookbook; I keep looking through them at the store and at book fairs but havn't had the funds to buy any yet. I hope to change that soon! I'm now following your blog and would love to win this cookbook. Can't have enough Gooseberry Patch cookbooks. Not sure about the timing but I would be proud to have this cookbook in my collection. Thank You. I'm following your blog by google friend connect. I love gooseberry patch!